Clinique has a new groundbreaking announcement to make. 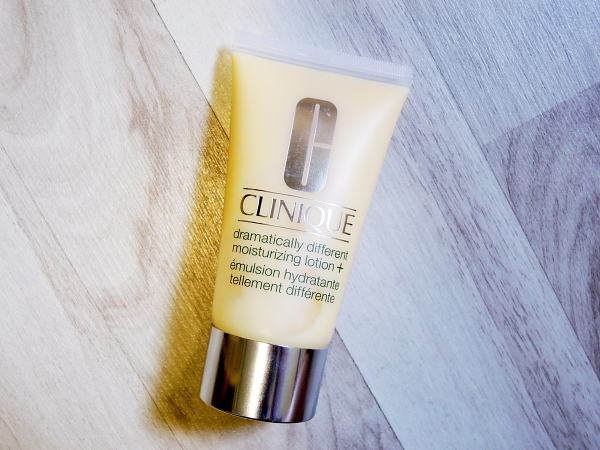 They have reformularized their cult beauty product – Clinique Dramatically Different Moisturizing Lotion! 50% improvement in moisture for all day hydration; without an extra drop of oil, and 54% improvement in skin’s barrier strength in 8 weeks; without changing the famously silky texture. Introducing Clinique Dramatically Different Moisturizing Lotion +! Clinique has kindly invited some bloggers over to showcase their new Dramatically Different Moisturizing Lotion +. Like all blogging events, there are demos for their new product. The one on the right arm shows the new Dramatically Different Moisturizing Lotion + whereas on the left arm, there was no moisturizer being applied. You can tell that Dramatically Different Moisturizing Lotion + is thicker. Clinique paired new formulating technology with ingredients that have a long dermatological heritage for efficiency and comfort. Dr. Norman Orentreich insisted on using ingredients that work optimally with the skin. Dr. David and Dr. Catherine Orentreich continue to advise using ingredients familiar to the skin because these are effective and are least likely to provoke irritation. Phytofix is a blend of sunflower seed cake, barley extract and cucumber fruit extract that helps to strengthen the skin’s barrier, imparting resilience and resistance to environmental stresses. Hyaluronic Acid has been used in dermatology and medicine for years, and is proven effective in helping skin hold onto moisture for improved hydration. Glycerin is a well known humectant that attracts moisture to skin. Considered highly “hygroscopic,” it absorbs water from the surrounding air. Urea is a naturally occurring component in the production of skin’s own natural moisturizing factor (NMF). NMF ingredients mimic the function of healthy skin. Before the introduction of Dramatically Different Moisturizing Lotion +, I actually have a bottle of Dramatically Different Moisturizing Lotion myself. Having tried both, here is my verdict. Dramatically Different Moisturizing Lotion + is indeed more moisturising than the original formula. I actually used this as my morning moisturizer after sunscreen and before my foundation. Even though the lotion is more very dry to dry combination skin, this only barely moisturize my dehydrated skin. If you want something with more kick, you can perhaps try other moisturizers from Clinique such as the moisture surge intense. Otherwise, this is an excellent moisturizer for combination skin and even oily skin types (for night time use). Best part is, Dramatically Different Moisturizing Lotion + price is lower than the original lotion formula! This is now at an affordable price and it also comes in two sizes. Good news, CLINIQUE would like to extend a special privilege to my readers/fans! You will receive an attractive Clinique tote bag, on top of the other freebies (worth over $300) when you signup for the Clinique Workshop at Bugis Junction. All you have to do is to quote my blog name “Icefrost Diary”, when you register. The workshop is happening on 29 July till 4 August 2013.